If you're a practical woman then the Finley Tote Bag by Hobo is your perfect match. 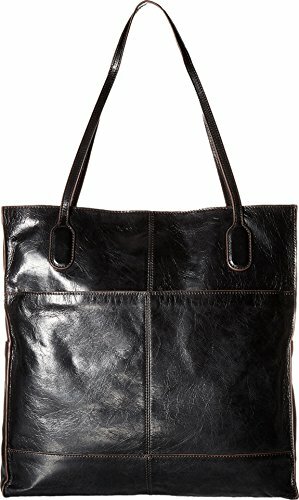 Made of genuine leather with brushed nickel hardware, this beautiful tote is designed with the everyday woman in mind. Snap open the spacious main compartment to reveal a fully lined interior with 4 slip pockets and 2 zippered pockets that are perfect for storing your phone or keys. An exterior zip pocket is ideal for storing those items you go to on a daily basis so you're not stuck digging through your bag in the parking lot. Treat yourself with this beautiful yet practical purse. Measures 14.5" x 13.5" x 5" w/ 10.5" strap drop.